This was a quick project we did last fall, staging some containers for a house in the Hiller Highlands area of the Oakland hills that was going on the market for sale. 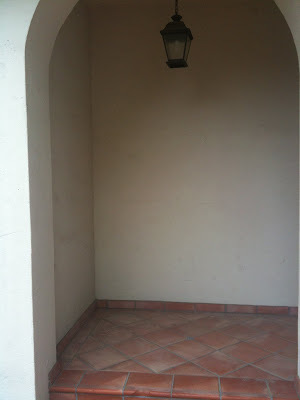 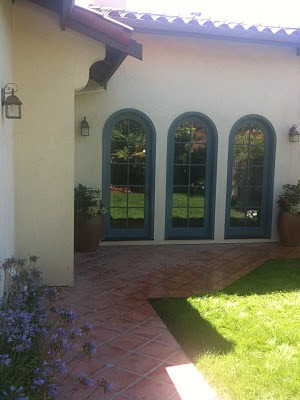 The house was white stucco, blue trimmed Spanish-style, with terracotta tiles on the roof and brick-red accents. 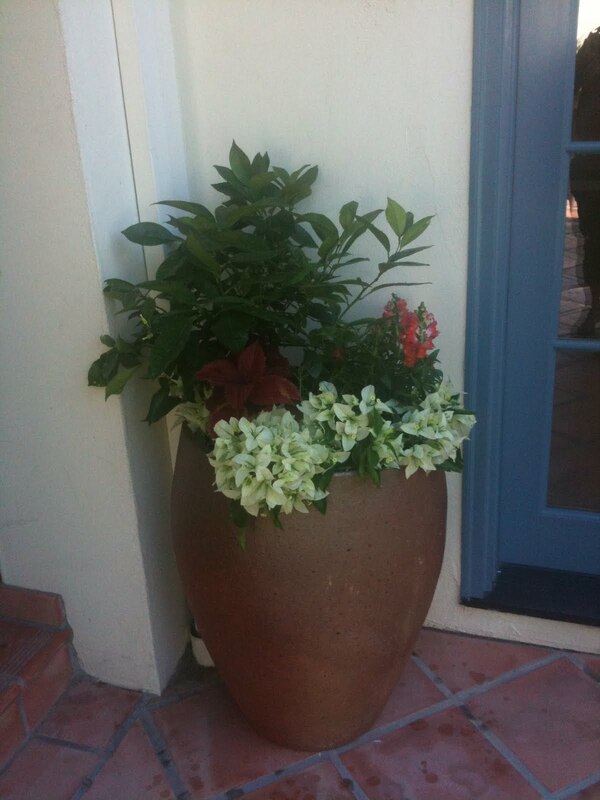 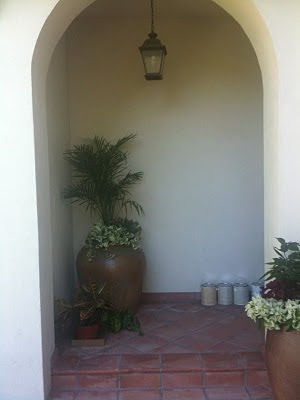 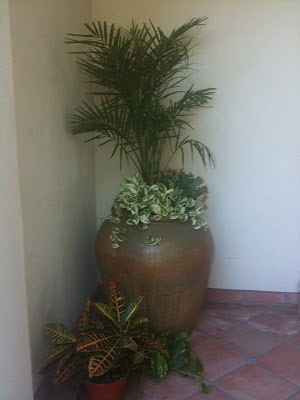 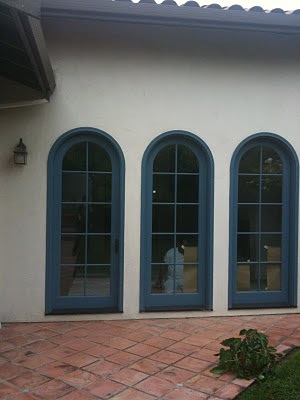 We decided to do one large urn in the front entrance, and flank the arched windows with two matching urn-shaped pots, and use Mediterranean plants like bougainvillea, citrus, and palms.